Living... a life of crime. And it’s paid off, big time. 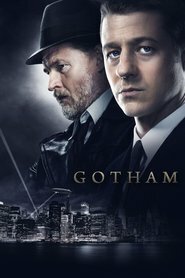 Rich, powerful, and commanding, Fish Mooney walks around Gotham like she owns the place—which, seeing as she’s the right-hand woman of notorious crime boss Carmine Falcone, isn’t far from the truth. Profession... nightclub owner/crime boss. When she isn’t keeping her team of thugs in line, Fish manages Mooney’s Nightclub. From decor to in-house entertainment, every feature of the establishment has gone through her rigorous scrutiny. Relationship Status... single, but she toys around with whoever she fancies—especially if they can help her gain more power. And Harvey Bullock, a crooked police detective in the GCPD, is a great help. Fish Mooney's popularity ranking on CharacTour is #451 out of 5,000+ characters. See our top-ranked characters and read their profiles.